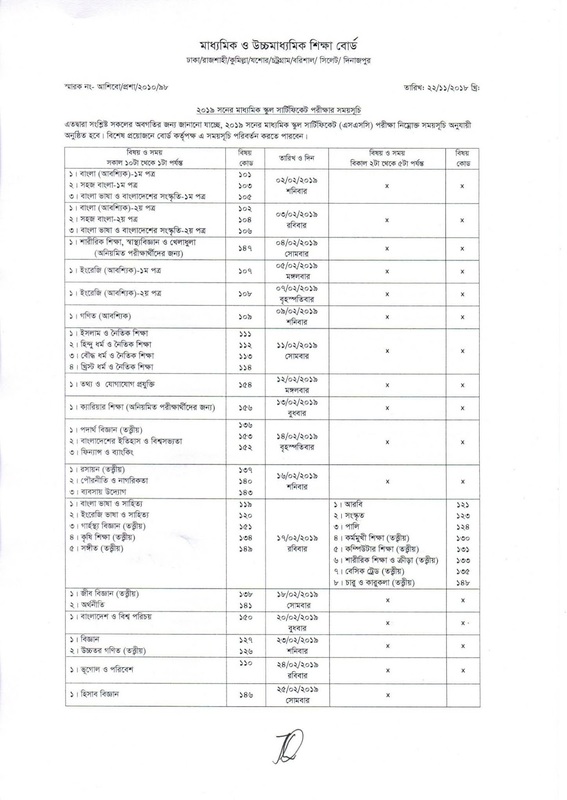 SSC Routine 2019 [Download] and Dakhil Exam Routine All Education Dhaka Board, Chittagong Board, Rajshahi Board, Comilla Board, Josree Board, Barisal Board, Sylhet Board, Dinajpur Board. 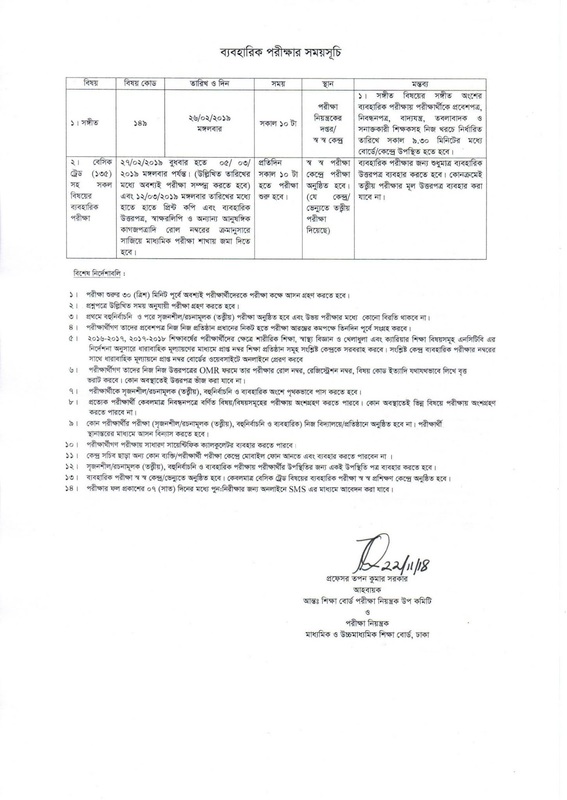 Secondary School Certificate (SSC) examination schedule has been published. 2019 The academic session starts from 2 February and ends on March 5. On Sunday, the schedule for the SSC examination was published on the Dhaka Education Board's website by the examination controller Tapan Kumar Sarkar. According to the instruction, the SSC and equivalent examinations will start from Bangla First Letter (Essential) on February 2. Therapeutic examinations begin from 2.00 pm and run till 5pm. The theoretical examination will be held until February 26. The practical tests will be held from February 27 to March 5. Students were asked to enter the examination center 30 minutes before the start of the test. It has been said that the first test will be conducted in a multicultural and post-graduate (theoretical) examination. There will be no break in both exams. All the theoretical and practical tests should be arranged through relocation. No test will be taken at the center. Only the practical tests of the basic trade will be held in the training centers. Examinations will allow the candidates to use general scientific calculators. During the examination, no one can access the mobile without the central secretary. Apply online for re-examination within 7 days of the results of the examination.